"Cost-no-object sonic touches at a mid-level price." Sound "This may be the largest Synchrony speaker, but its not nearly as big as some speakers that have come into my room, yet it has deeper bass." "The bass wasn't just deep, but well controlled, super tight, and without any boost or emphasis in the upper-bass region (100-150Hz or so) that gives the illusion of really deep bass when it's not there." "However, something I didnt expect from the Synchrony One impressed me far more: the level of midrange clarity, detail, and tonal accuracy."
. Why space out the woofers? The main reason Barton has done this is to combat whats known as the floor-bounce effect." "In comparison, the midrange and tweeter operate far more conventionally." "Fourth-order slopes are used throughout to minimize driver overlap, and the crossover points were chosen to ensure proper dispersion characteristics between the drivers for smooth on- and off-axis response." Use "To play the Synchrony Ones super loud, you need an amplifier that can deliver current. The One has decent sensitivity, but its impedance is low and likely to cause some amplifiers grief if they cant handle a tough load." Value "Obviously, if the [Mirage] OMD-28 is a great bargain, the Synchrony One can be considered an even greater one." When PSBs Paul Barton releases a new speaker, I take note of it. The very first speakers I bought over 25 years ago were PSB Avanté IIs, which I used for about seven years. So paying attention to PSB speakers is kind of a nostalgia thing for me, but it's also a professional matter. Barton has attained near-legendary status as a speaker designer who knows how to marry the art of loudspeaker design with hard science. Probably because of that, he has over the years created many speakers that have become benchmarks for combining high performance and good value. Therefore, when PSB offered the new Synchrony speakers for review, I was glad to take on the assignments myself. Initially, I reviewed the bookshelf-sized Two B in April on SoundStage! A/V, and now I'm reviewing the Synchrony One here on SoundStage! The Two B is the entry-level model in the series and sells for $1500 USD per pair, whereas the One is at the top of the line and sells for $4500 per pair. At first glance, the Synchrony One might seem like an ordinary floorstanding design. It measures 43"H x 9"W x 13"D, weighs 60 pounds, and appears conspicuously simple, particularly with the grille on. However, a closer inspection reveals there is some impressive engineering going on with this not-so-conventional five-driver, three-way design. The front baffle and back panel are aluminum, as is the speaker's base. Whats more, the front baffle is constructed with two aluminum layers, which allows for the drivers to be mounted to the back layer with a rubber molding surrounding the drivers and extending to the front layer. This is done to give the drivers a rock-solid footing on the very solid baffle but with minimal energy transferred to the front-most portion of the baffle to keep resonances down. Cosmetically, that rubber molding also covers up the drivers unsightly bolts. The curved side panels are made from seven-ply MDF that's finished with a real-wood veneer. The top is also MDF, but it's flat. Barton described to me how the curved panels are made. First, the thin layers are bent and glue is placed between. Then, when all layers are together, the whole thing is essentially "microwaved" to make it set. After that, it's solid. Whats more interesting is how the side panels are affixed to the front and rear aluminum panels with a clever slotting technique that I haven't seen used in any other speaker. It's difficult to describe with words, but suffice it to say that the curved wood side panels slide into the aluminums grooves. The result is an incredibly sturdy speaker structure with no visible screws or bolts on any side. The finish options are cherry or black-ash real-wood veneer. Looks-wise, the cherry wins hands down -- at least in my opinion. Black ash will be preferred by people who want their speakers to look less conspicuous. I have much admiration for the visual attributes and the clever construction methods of the Synchrony One, but I can't overlook what's going on inside the box. Take the way the three 6 1/2" woofers work, for example. They're all identical fiberglass-based cone designs placed at the top, midpoint, and bottom of the front baffle and specd by PSB to deliver flat bass into the 30Hz range, with a -10dB point of 24Hz. For such a modest-sized cabinet, that's impressively deep bass. Each woofer is spaced from the others and has its own compartment within the cabinet. So, if you crack the One apart, youll see separate sections for each woofer along with a port out the back for each. This is an important design element because, with a tall and narrow cabinet like the One's, if the cabinet were left wide open inside, nasty standing waves corresponding to the length of the cabinet would develop internally. Dividing the cabinet into compartments helps to eliminate that. Why space out the woofers? The main reason Barton has done this is to combat whats known as the floor-bounce effect. This is an early-reflection thing that happens when the direct signal from a driver is interfered with by the indirect signal that travels off-axis from the same driver to a nearby surface -- the first usually being the floor -- bounces off it, and then arrives at the listeners ears just a little later than the initial sound. Obviously, this reflection happens with walls and ceilings too; however, a designer can attack only so much at once. Therefore, getting rid of that nasty floor reflection -- or at least reducing it -- is what Barton has attempted to address by spacing the woofers. Because all three drivers are spaced apart, they each vary significantly enough in distance from the listeners ears that theyll each have different frequencies affected by the floor bounce. Therefore, Barton has altered the response of each woofer so that at each of their main floor-bounce frequencies, the output in that region is attenuated significantly to minimize the interference. As a result, all three woofers have quite different frequency-response characteristics when you look at them independently. Furthermore, because theyve been attenuated in their floor-bounce range, they're not "flat" (i.e., they don't display equal amplitude across their operating range). Now the really nifty part: Barton says that even though each woofer's response isnt the same or flat, the summed response of all three working together is flat. So the speaker is still "neutral." In comparison, the midrange and tweeter operate far more conventionally. The 4" midrange driver, which transitions in at about 500Hz, also has a fiberglass cone and a rubber surround. The midrange driver hands off to the 1" titanium-dome tweeter at about 2.2kHz. Fourth-order slopes are used throughout to minimize driver overlap, and the crossover points were chosen to ensure proper dispersion characteristics between the drivers for smooth on- and off-axis response. One more thing to take note of is the fact that the tweeter is mounted below the midrange driver and the top woofer. This has become a hallmark of Barton's pricier speakers and is contrary to the way it's done with most speakers, whether two- or three-way, which would normally have the tweeter at the top. Barton likes this flip-flopped arrangement because he says it allows him to control the summing of the drivers more easily, so no cancellations happen at the listening axis or above (seated or standing height). Instead, cancellations -- which occur with all multi-way speakers because the different drive units are all in differing spaces -- are directed toward the floor. Large, well-made binding posts are inset on the backside near the floor. There are two sets, so you can single- or biwire the Synchrony Ones. I kept it simple and single-wired. Finally, a few of the PSB-supplied specs. Frequency response is rated +/-1.5dB from 30Hz-23kHz, anechoic sensitivity is rated at 88dB/W/m, and impedance is said to hover around 4 ohms. The Synchrony One can go much lower in the bass than the Two B -- no surprise, given the increased size of the One and the fact that it has three 6 1/2" bass drivers versus the Two Bs single 5 1/4" woofer -- but, on top of that, it reaches much deeper, with authority and control, than many speakers its own size. This may be the largest Synchrony speaker, but its not nearly as big as some speakers that have come into my room, yet it has deeper bass. When I played the opening tracks from the Cowboy Junkies The Trinity Session CD [RCA 8568-2-R], I got those deep, room-pressurizing thumps that the Two B could only hint at, most speakers whimper with, and some completely miss. Furthermore, the bass wasn't just deep, but well controlled, super tight, and without any boost or emphasis in the upper-bass region (100-150Hz or so) that gives the illusion of really deep bass when it's not there. The One delivers the real thing -- nothing I heard in my room would cause me to dispute the 30Hz specification. So when it came to a drummer going full throttle, as Abraham Laboriel, Jr. does on "Objection (Tango)," the opening track on Shakiras Laundry Service CD [Sony 63900], it sounds like a full-scale drum kit through the Ones. For such a modestly sized, moderately priced design, the Synchrony One delivers outstanding bass performance. The One's ability to play loud is just as notable, bettering all like-sized speakers that Ive reviewed to date. The kind of dynamic swings the Ones are capable of are awe-inspiring and sure to make the speaker a hit with those who like to re-create sound at close-to-lifelike levels, something fans of rock and large-scale orchestral works should take note of. Loudspeakers  Mirage OM Design OMD-28. Amplifiers  Simaudio Moon Evolution W-7 stereo power amp, Simaudio Moon i-1 integrated amp, Stello M200 mono power amps. Preamplifier  Simaudio Moon Evolution P-7. Digital  Simaudio Moon Evolution SuperNova CD player, Toshiba HD-A30 CD/DVD/HD DVD player, Sony PlayStation 3. Interconnects  Nordost Valhalla, Nirvana S-L.
Speaker cables  Nordost Valkyrja, Nirvana S-L, Analysis Plus Silver Oval. For example, Im a big fan of Martin Scorseses Shine a Light "rockumentary," which features the Rolling Stones live at New Yorks Beacon Theatre in 2006. This film was released to theaters in early 2008 and is just about to be released on Blu-ray and DVD. There are also two soundtrack versions available on CD. I first saw Shine a Light at an IMAX theater and I rushed out the next day to buy the two-disc, deluxe CD [Universal B001096102] that contains all the films songs and a little bit more. The CD opens up with an explosive version of "Jumpin Jack Flash" that has Keith Richards guitar leading the charge with Mick Jaggers voice quickly following him in. The track deserves (needs!) to be played ultra loud to give that live-in-the-theater feeling, which the One handled with aplomb. But playing loud isnt enough -- a speaker has to stay clean doing so. The Synchrony One can go from whisper quiet to stadium-concert loud in an instant and remain composed the entire time. The One is clean-sounding at everything from the lowest to the highest listening levels, and this is remarkable, given the speakers modest size. But theres a catch: To play the Synchrony Ones super loud, you need an amplifier that can deliver current. The One has decent sensitivity, but its impedance is low and likely to cause some amplifiers grief if they cant handle a tough load. I suspect it has mostly to do with the three woofers working together amidst the rather complex crossover configuration. I used the One with Stello M200 mono amps and a Simaudio Moon Evolution W-7 stereo amp and there was never an issue -- these amplifiers can deliver about 150 watts into 8 ohms, and they take on tough speaker loads without flinching. However, when I hooked up the much smaller Simaudio Moon i-1 integrated amp thats rated at just 50Wpc into 8 ohms, it held together well enough at a normal listening level, but it clipped severely when I went past that. Quite simply, if you want to play these speakers at the levels I described and not risk damage to the speakers or the amp, I recommend a suitably powerful amplifier that stays stable into low impedances -- definitely as low as 4 ohms, ideally down to 2. The Ones ability to play deep and loud was impressive, but, frankly, I expected this going in. However, something I didnt expect from the Synchrony One impressed me far more: the level of midrange clarity, detail, and tonal accuracy. When it comes to these traits, the One is not only a clear step up from the Two B but from any other speaker near its price, and some above. For instance, Johnny Cashs American Recordings CDs sound incredibly rich and robust, but on many speakers they can end up sounding too full -- to the point where Cashs voice is obscured, particularly at high volume. I was astonished to hear how clear and detailed the Synchrony One played these recordings, carving the musicians out of space like no other speaker Ive heard. The clarity was uncanny, so much so that I pulled out recording after recording to find out what I could hear from them, and I sat astonished each time. In fact, the Synchrony One reminded me of an electrostatic speaker for offering the kind of transparency it has in the midrange. This extraordinary level of detail and clarity contributed to a soundstage with a high degree of placement precision and an impressive re-creation of space. Coupled with the deep bass thats not only heard but felt, the Synchrony One makes it a snap to hear every detail in the recording and to imagine the listeners in their recorded space. In fact, I couldnt help but think that the Ones would make fabulous recording monitors because of their deep, controlled bass, extraordinary neutrality, exceptional retrieval of musical detail, and ability to play music at lifelike levels. On the other hand, where the Synchrony One doesnt break any new ground is in an area I havent touched on yet -- the high, high highs. The One uses the same tweeter as the Two B, as well as every other speaker in the Synchrony line. Thats not necessarily a bad thing -- the One and Two B sound commendably clean up to the stratosphere. But its just not the ultra-special performance that they have in the bass and the mids, particularly when youve heard some of the new tweeters from other companies -- notably Paradigm's new beryllium tweeter that shows up in the new Signature line. I reviewed the S1 v.2 late last year, and I found it to have the most effortless and accurate ultra-high-frequency performance that Ive heard to date, bettering that of speakers Ive heard that use the Scan-Speak Revelator tweeter, my previous favorite because it sounds so sweet. The Two B and One are very good up top, but I've heard some speakers sound better. But this doesnt take away from what the One achieves, which would be a lot for a speaker twice the size and price. Instead, you get some cost-no-object sonic touches at a mid-level price. 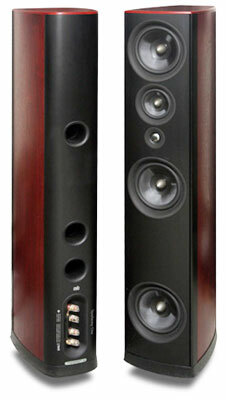 The Synchrony One reminds me of Mirages OM Design OMD-28, which retails for $7500 per pair. Its not that theyre sonically similar -- as youll see, there are some quite substantial differences -- but that they both offer innovative technology, outstanding build quality, and cost-no-object fidelity at what can be considered reasonable asking prices. First, the big difference: The OMD-28 is a 360-degree-radiating speaker, but it directs more energy to the front than a standard omnidirectional speaker, which makes its presentation a little bit more like that of a front radiator. However, theres no denying that the omnidirectional elements of the design allow it to project an enormous soundstage with extraordinary width that goes beyond the speakers edges and depth that reaches past the front wall of the room. Its sound is enveloping and, any which way you cut it, quite awesome to hear. However, the 28s expansive soundstage is offset by imaging precision thats so-so when you compare it to a speaker like the Synchrony One. A pair of Ones doesnt make as big a soundstage, but they do create one thats more precise. Its no problem to pinpoint where the performers are with the Ones, whereas with the OMD-28s placement is not as specific. Another big difference is in the bass. Both reach extremely low, but the OMD-28 is the winner. Mirage rates the OMD-28s -10dB point at 18Hz, something I believe because the speakers sound strong down there. However, the biggest difference in the bass isnt the depth but rather the weight. The OMD-28s sound much weightier and have more heft, which has something to do with how low they go and also with some upper-bass emphasis that the Synchrony Ones dont have. None of this is a knock against the Synchrony Ones. The OMD-28s are true full-range speakers at a commensurate asking price; the Ones, on the other hand, offer nearly full-range performance thats more than impressive at their price. Most people dont get 30Hz from their speakers, even very large speakers, and the Synchrony Ones certainly achieve that. Then, of course, there are similarities starting with the fact that both speakers need a strong, current-capable amplifier to be at their best and to play loud. Both will clip an underpowered amplifier and, in my opinion, wouldnt be well-suited for tubes. Beefy solid-state is the order of the day for the Synchrony Ones or the OMD-28s. They also both sound extremely well balanced from the lower mids on up, although in absolute terms, I suspect the Ones are the more linear of the two. PSB seems to design most of their upper-end speakers to be the pinnacle of neutrality, whereas Mirage goes for a more forgiving sound. When you compare the two side by side, the OMD-28s have a slightly more relaxed and velvety sound, whereas the Synchrony Ones sound vivid and precise. Both speakers are quite similar in the extreme highs. They employ clean-sounding tweeters that are hard to fault until you hear the latest generation of great tweeters, such as that beryllium number from Paradigm. When you compare the OMD-28s and Synchrony Ones to that standard you realize theyre not quite as effortless as the very best. The OMD-28 is a true full-range design thats built to an extremely high standard and can compete with speakers multiples of its price. Ive often said that if any other company tried to build the 28, it would likely cost two to three times as much, if they could build it at all. Thats why I consider the OMD-28 one of the great bargains in high-end audio today. The same thing can be said about the Synchrony One. It may be more conventional than the OMD-28 -- it's a standard front-radiator and not quite as full-rangey -- but it also features advanced technology that outclasses designs multiples of its price. Obviously, if the OMD-28 is a great bargain, the Synchrony One can be considered an even greater one. 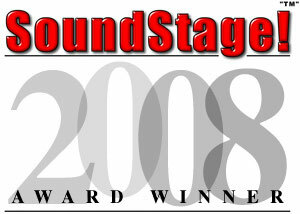 PSBs Paul Barton has been in the loudspeaker game for over 30 years. In that time, youd think that he might slow down, or at least run out of ideas. Based on what I experienced with the Synchrony One, theres no fear of that just yet. The One is visually appealing, technically advanced and sonically superb. Overall, it's really hard to fault. The only concern with the One is to make sure that you partner it with a sturdy amplifier able to deal with a somewhat difficult load or you won't hear all that it can do. With a proper amp, though, you'll find that these speakers are capable of remarkable performance from top to bottom with bass performance that is notable for the speakers' size and price, loudness capabilities that belong to speakers twice the size, and a midrange presentation that sets a new standard for tonal accuracy, clarity and detail. All in all, the Synchrony One is an impressive statement in the Synchrony line and, when all things are considered, it's being offered at a price that's downright low. Barton has found a way to blend styling with performance and, from what I can tell, not compromise either in any significant way. To my ears, the Synchrony One is the best PSB speaker yet, and it establishes a benchmark for value and performance -- something that seems synonymous with Paul Bartons name. Price: $4500 USD per pair.